My name is Paul Blythe and I am the founder and President of Reliable Legal Document Prep. Inc. since 2012. We are a legal document preparation company . As a non-attorney we do not give legal advice. 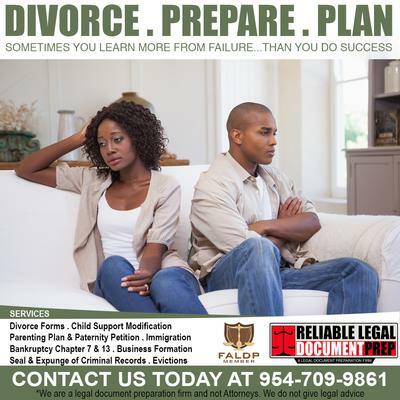 We assist in the preparation of Florida court approved family forms( divorce, Child Support Modification), Bankruptcy(ch 7& 13 ) forms and Immigration Forms. I hold a Bachelor of Business Administration with a minor in legal studies from Nova Southeastern University(1996), Davie ,Florida. I have over 10yrs of experience of preparing legal documents for the under served community. I enjoy providing exceptional professional service to my clients where all my " t's are crossed and my i's are dotted."